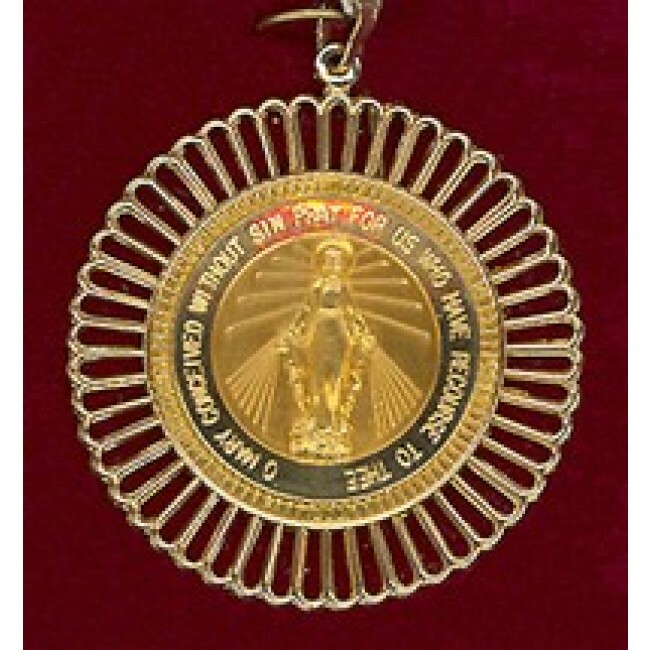 Miraculous Medal of Our Lady is solid 14k gold with 14k gold filagree. Medal without filagree measures 1" diameter, with filagree approx. 2" diameter. A beautiful piece of jewelry as well as a religious medal. Soldered bale will accommodate a heavy chain. 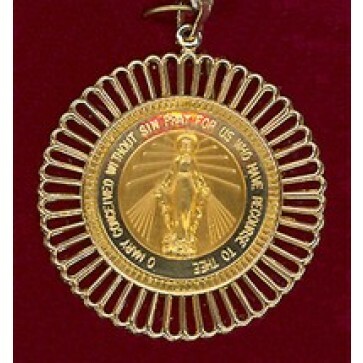 Engraved on front side of medal are the words " Mary Conceived Without Sin, Pray For Us Who Have Recourse To Thee." Reverse side of medal has the traditional miraculous symbols.